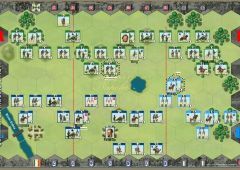 Napoleon retained his strategic brilliance, placing his army squarely between the Prussian and Anglo-Allied armies on June 16th. His tactical genius was fading. 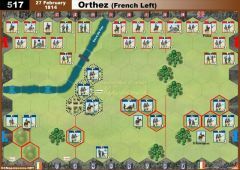 He allowed an entire corps to countermarch aimlessly on the 16th, deny him the opportunity for a decisive victory either at Ligny or Quatre Bras. 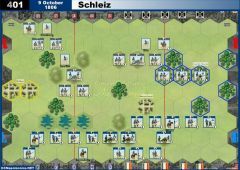 Instead, at the end of the day the beaten Prussians escaped at Ligny and Wellington still held the crossroads at Quatre Bras. 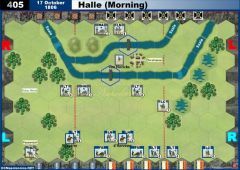 On the 17th Napoleon turned his main strength towards the British, after detaching Grouchy with two corps to pursue the retreating Prussians and prevent them from uniting with Wellington. 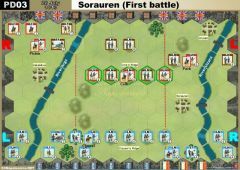 A massive storm drenched the area on the 17th as Napoleon advanced upon the Anglo-Allied army that was deploying for battle in front of Mount Saint Jean. 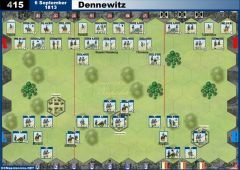 The 18th dawned clear, but the rain-soaked ground still made maneuvering cavalry and artillery difficult, so Napoleon delayed the start of the battle, waiting for the ground to dry. 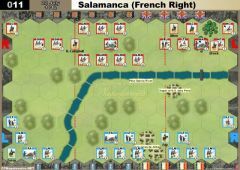 Wellington fielded an Anglo-Allied army of 50,000 infantry, 11,000 cavalry and 150 guns. 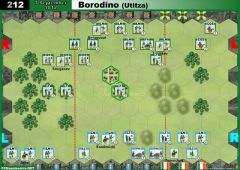 In front of his line, there were three strong positions; the château of Hougoumont, the hamlet of Papelotte and the farmhouse and orchards of La Haye Sainte. Many of his veteran regiments from Spain had been sent to Canada and the United States to fight the Americans. Napoleon’s army consisted of 48,000 infantry, 14,000 cavalry and 250 guns. Many of these troops were veterans of at least one campaign. 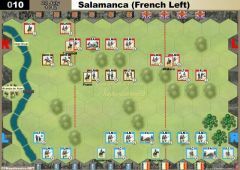 It was about 11AM before Napoleon gave battle with artillery salvoes and ordered the initial assault against Hougoumont. 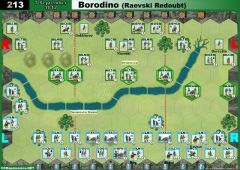 The battle of Waterloo is well documented, and rather than skim through the account, it is recommended that players take advantage of the numerous sources available and enjoy reading about this epic struggle between two of the greatest commanders in history. 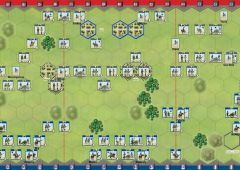 • Hougoumont, La Haye Sainte and Papelotte (with blue border) are each one Temporary Victory Banners Turn Start for the French player. 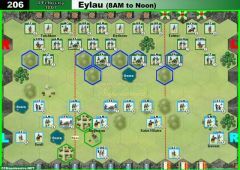 • Prussian Reinforcements: The Allies player rolls 1 dice at start of each of his turn. If no FLAG symbol, the timeline for the Prussian arrival increases by 1. When the timeline reach 9, the Prussian reinforcements arrives.